Congratulations to the team – 2 Bafta wins for Editing and Best Specialist Factual. A 4-part history of woman’s role in society in the last 3000 years. Presented by Amanda Foreman. Started album recording at Air – string ensemble conducted by Clarissa Farran and sound engineered by Olga Fitzroy. A very interesting 2 episode doc about prostitution with a candid approach by presenter Rupert Everett. Still available on 4oD if you missed it. As always a real pleasure to work with Niel Crombie from Swan Films and editor Jake Martin. Avshalom is invited to give a series of talks about music in film and documentaries, composer-director communication and the process of producing a soundtrack. The seminar will take place in Basel, Switzerland this coming weekend as part of FOCAL a foundation for professional training in cinema and audiovisual media. Simon Schama’s The Story of the Jews is on air this month over BBC 2. This 5 hours of beautiful documentary was a fantastic and challenging project to score with string recording in Berlin and more recording of vocalists, soloists and mixing at Air Studios in London. At least fifty percent of the music was written before the editing stages and the rest of the music was written during the edit. 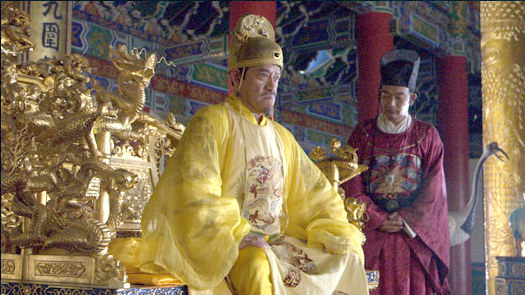 The series will be broadcasted next in the US and later on many TV channels around the world . More recording for the BBC series, this time in the Hall at Air. 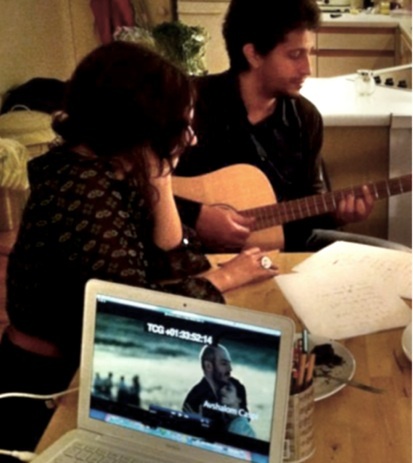 Collaborating with two wonderful musicians – Clara Sanabras on vocals, guitars and harmonium and Samy Bishai on violin. Olga Fitzroy engineering and mixing for us. A big thank you to all at Air for a great few days! Just back from recording in Berlin for this new 5-part BBC series. Berlin was chilled and snowy (see snowed-under bikes..), studio was nice and warm and we were graced with fantastic musicians from the Berlin Chamber Players. Will post some music when ready..
Av won the Golden Goblet Award for best score at the Shanghai Film Festival 2012 for the Spanish film ‘De tu ventana a la mia’ (‘Chrysalis’). And a very special thank you to the director Paula Ortiz. 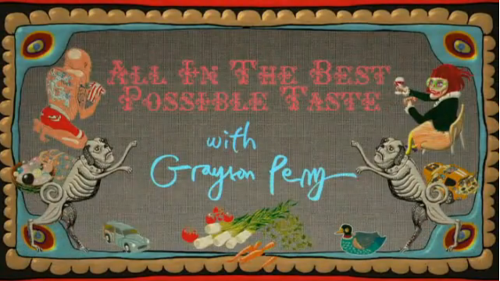 Av finished composing the music for this fascinating series presented by Grayson Perry. The programme is getting amazing reviews! Directed by Neil Crombie. Av is in Tel Aviv, rehearsing for a set of five reunion concerts with Carmella Gross & Wagner after 17 years since their last recordings. Av is in Berlin working and recording with pianist Katya Sourikova on some piano arrangements of his orchestral film music works, produced by Clarissa Farran and Michael Avery. Avshalom has received a nomination for Best Original Song at the Spanish Film Academy ‘Goya’ Awards. 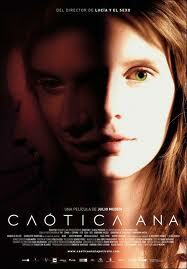 The song is part of the original score he composed for the film ‘De Tu Ventana a la Mia‘ (‘Chrysalis’). The ceremony will take place in Madrid in February. Av continues to compose for ‘Taste’. In this new Channel 4 series, artist Grayson Perry confronts one of the elephants in the room of British culture – the relationship between taste and social background in today’s Britain . Produced by Seneca Productions and directed by Neil Crombie. Well done director Sam Washington for winning this years’ competition! Great to be involved in this challenging project. Av is composing the score and original song for this beautiful Spanish feature film directed by Paula Ortiz Alvarez and produced by Amapola Films. The Genius of British Art is nominated for best art documentary. At Home with the Georgians is nominated for best historical documentary. Unfortunately the concert with Annie Lennox has been called off! The 6 x 1 hour series will start broadcasting on Channel 4 on Sunday 3rd October, 7pm (and same time on each consecutive Sunday). Accompanying the series will be a set of talks at the National Gallery hosted by each presenter as part of the Friday Lates programme – see link below for further details. Having completed ‘Genius of British Art’ for Channel 4 Av is working on ‘Behind Close Doors’ a new BBC commission due out in October 2010. UK Broadcast date: 31st May 2010, 9pm BBC2. The film is enjoying success in film festivals around the world. In London screenings have taken place at BAFTA and at the opening of the 24th BFI LLGF Festival 2010. February saw the recording and mixing of the score to Anne Lister. 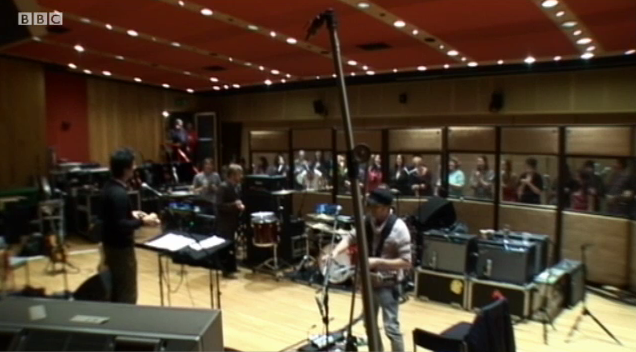 The string orchestra was recorded in Berlin and the overdubs and mixes back in London. The film has been chosen to open the 24th BFI LLGF Festival 2010 (screening at the Odeon Leicester Square on 17th March) and will be on some big screens around London. The BBC2 TV broadcast date is still TBC. Will most likely be sometime in May.. Working all hours god gave us.. no surprises there! Pianist Annabelle Thwaite did some overdubs for us. Avshalom is now working on a landmark series for Channel 4 celebrating four centuries of British Art. The 6 x 1 hour episodes will be broadcast in late summer. After 2 months of traveling around India (!) Avshalom is now back and ready to work on the music for this BBC2 drama. James Kent directs this production written by Jane English and starring Maxine Peake. Great short film by Holly Murray documenting the creative process that went on in preparation for the Electric Proms gig. Avshalom has been commissioned to compose Noitcelfer (‘reflection’ backwards) a piece which explores the idea of reflection – whether it be physical or metaphorical – through the means of music, sound and image. Written for string quartet, piano, harp, voice-over and electronics with visuals by artist / designer Assa Ashuach. To be performed on 12th September 2009, 8.30pm at the NNLS Hall in London. 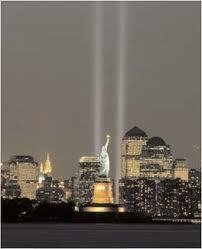 Av is commissioned to compose the music for ‘9/11 Calls’. A documentary film about some of the many voice messages that were left by the victims who were trapped in the Twin Towers and how their families are living with their loss, the memories and grief. He will be recording the score with a string orchestra in Berlin at the end of August. TX on 6th September ’09, Channel 4. Part of the BBC’s Poetry Season ’09, Avshalom has completed the score for the BBC documentary series ‘My Life In Verse’ of 4 episodes, 1 hour each, about British poetry. Episodes presented by Sheila Hancock, Rob Webb, Cerys Matthews and Malorie Blackman. Directed by Ian Macmillan, James Kent, Mark Halliley and Mark Bates. To be broadcast from Friday, 29 May 2009 – 19 June 2009 on BBC2. Well done guys for getting the series nominated! After working on Bloc Party’s album. Avshalom is teeming up once more with producer Jacknife Lee, composing brass and choral arrangements for Snow Patrol’s new album, A Hundred Million Suns. With the Exmoor Singers of London and a great brass section put together by Hilary Skewes. Recording at Olympic Studios in Barnes sometime in late August. Album release date 28 October ’08. 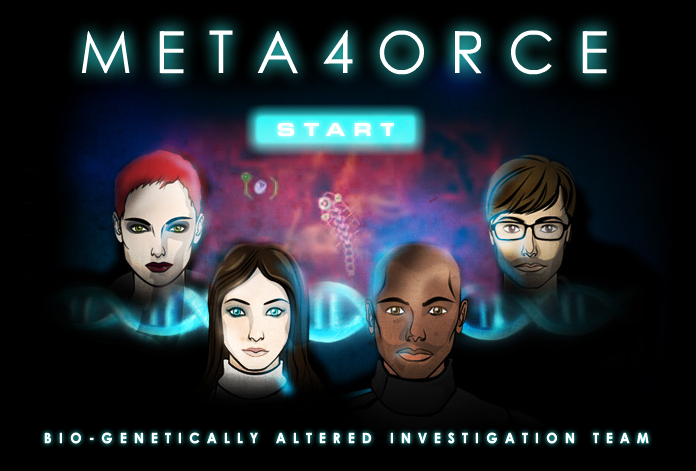 Composing the score for this BBC 2 futuristic animated detective series directed by Alex Norris and scheduled for June 2008. 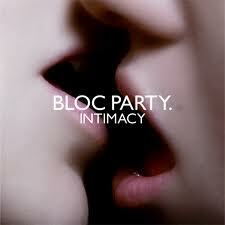 After the success of their collaboration in the Electric Proms last October, Avshalom has been composing choral and brass arrangements for Bloc Party’s next album, Intimacy, produced by Jacknife Lee. Avshalom is collaborating with artist / designer Assa Ashuach working on the audio-visual piece ‘State of Consonance’ to be exhibited at the Italian Cultural Center in London from the 24th Jan 2008 until 14 March 2008. Av. 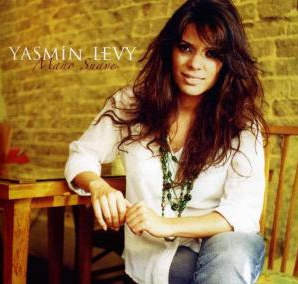 was invited to play as a guest at Yasmin Levy‘s recent gig at Ronnie Scott’s in London, marking the launch of her magical new album Mano Suave, on which Avshalom has arranged the song Como La Roza. 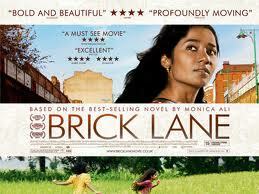 BRICK LANE and CHAOTIC ANA, two films on which Av. has orchestrated/produced the music together with composer Jocelyn Pook, premiere in London in a few days. Go see these movies if you can – they’re both very good! 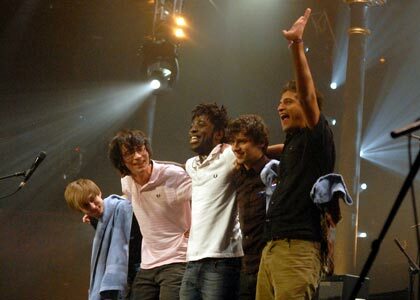 BBC Electric Proms 2007 with Bloc Party – the crowd went mad for it! Avshalom is currently working on choral arrangements and compositions for a special performance of Indie-Rock band BLOC PARTY. 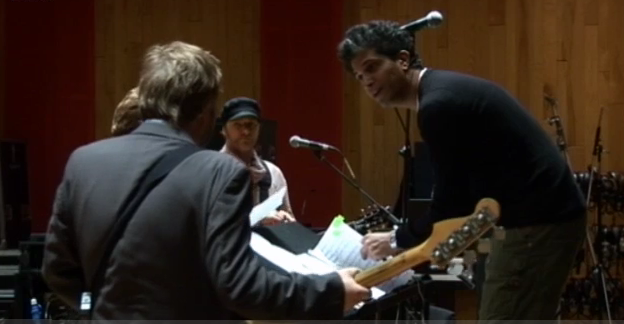 The concert will take place at the BBC’s Electric Proms festival (27 October). On this exciting project Av is collaborating again with the wonderful Exmoor Singers of London. Composing the soundtrack for a 120 minutes documentary film about the story of the building of the Great Wall of China. To broadcasted on the 1st October 07on UK’s Channel 4 and Discovery Channel worldwide..
Orchestrating the soundtrack for the film Caotica Ana together with composer Jocelyn Pook. A beautiful piece by Spanish director Julio Medem.